This ribbon is so chic and elegant- the Black Silver Edge Ribbon is a 9-metre roll of quality black and silver ribbon. 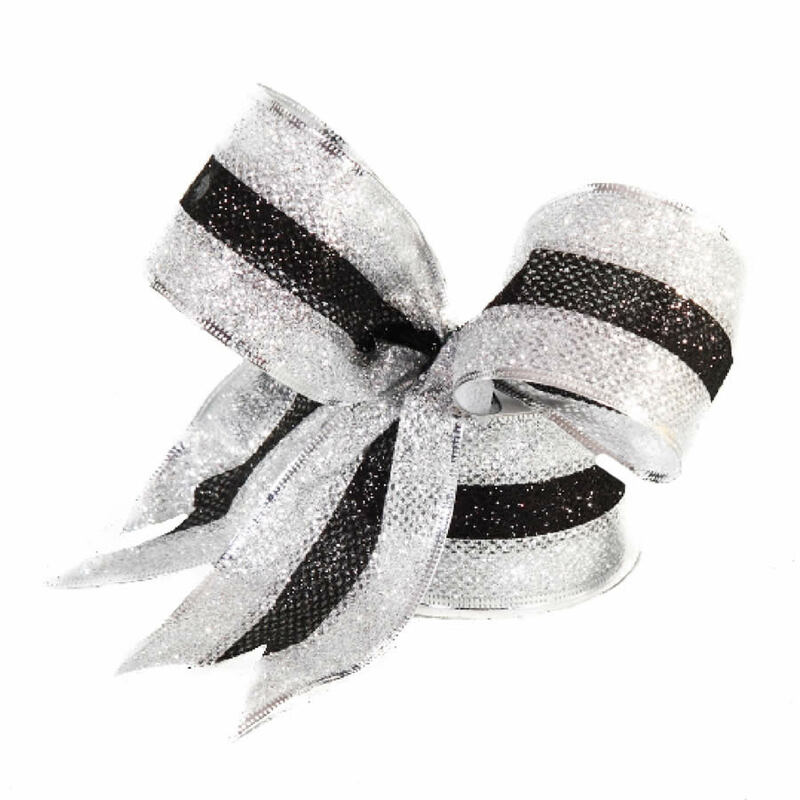 This ribbon is 7cm wide, and features a unique style that is comprised of shimmering silver stripes with a black mesh-like stripe running down the middle. 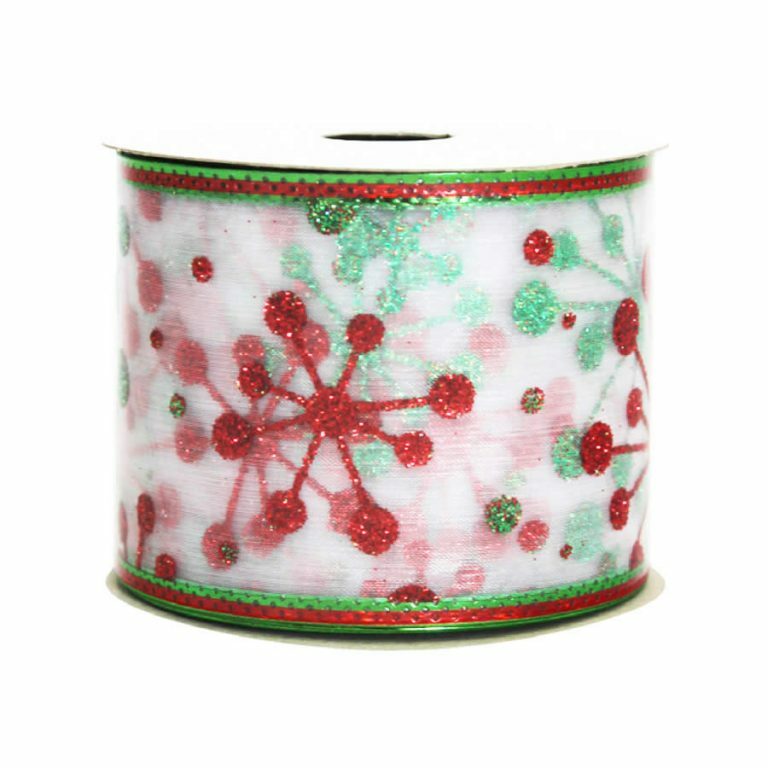 This creates a cohesive and sophisticated ribbon that adds a stylish accent to your home decor and Christmas projects. The chrome-like colour of the silver give it flair and the unique use of black textured fabric in the centre adds allure. 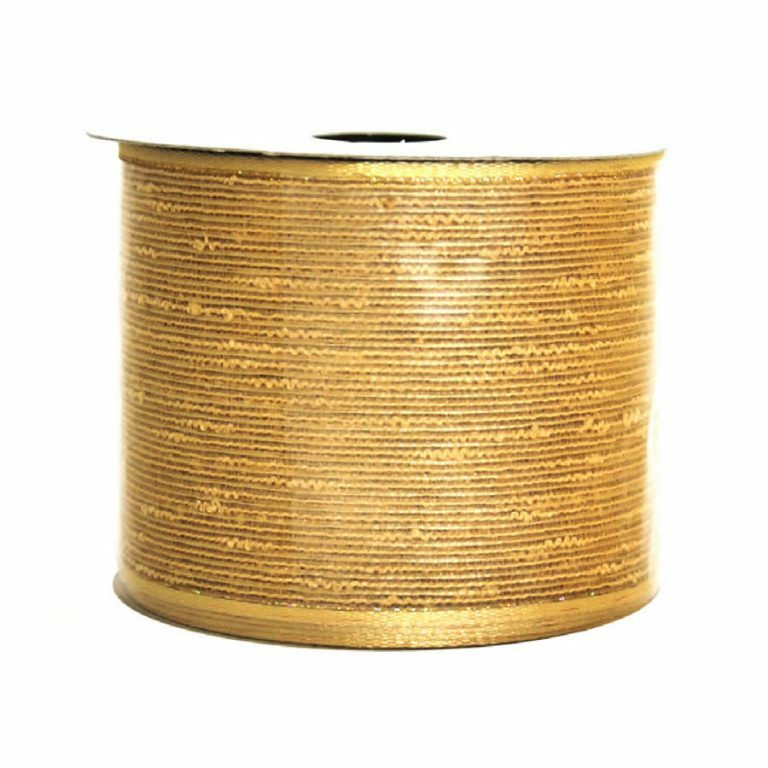 This would be an excellent ribbon to use for distinctive gifts or special occasions. 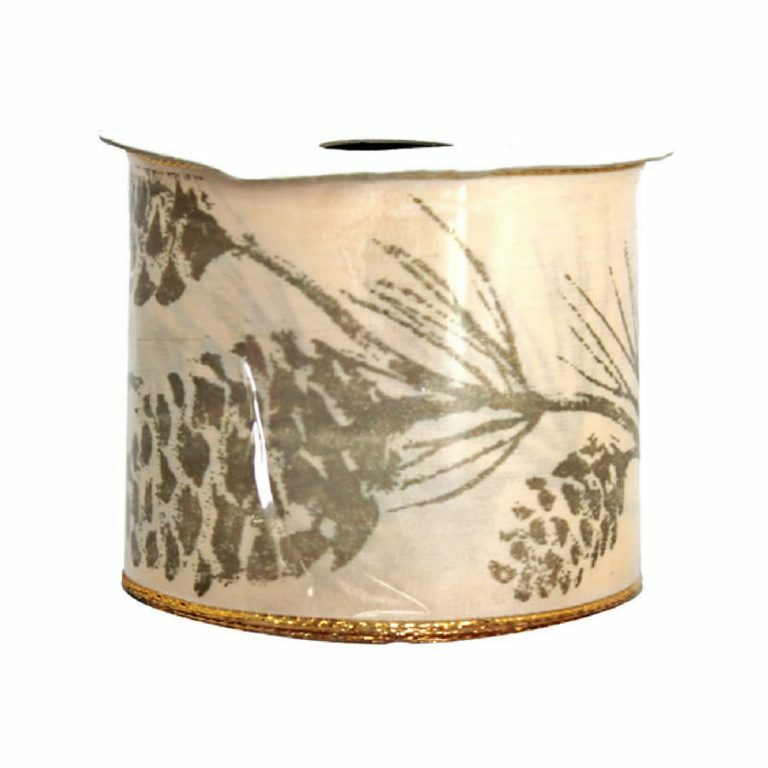 It would also be a regal accent to use on a mantle or your tree that has a modern, contemporary style. This would pair beautifully with all shades of silver, black, and winter white. 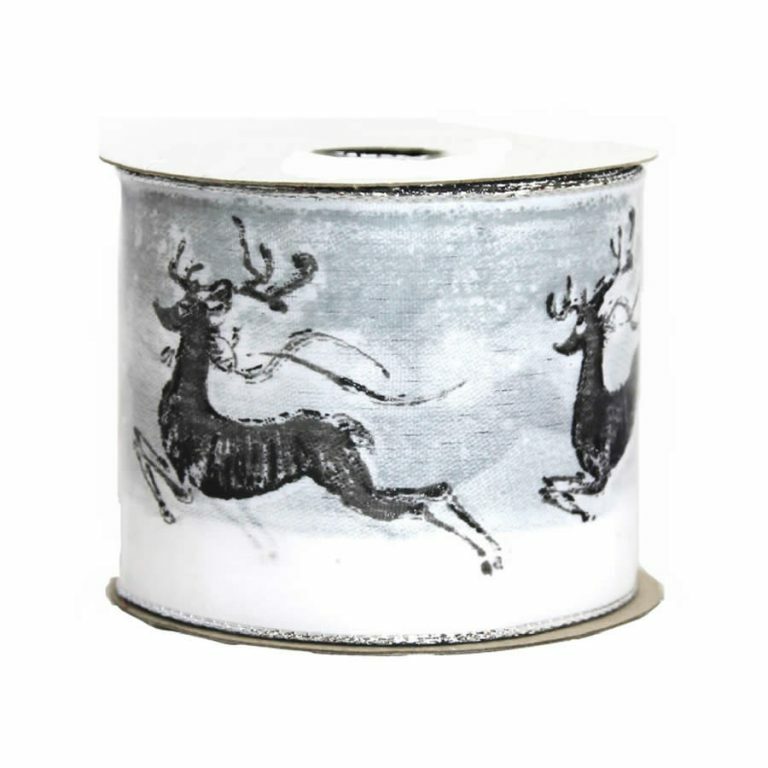 Add a fresh face to your home this holiday with this Black Silver Edge Ribbon, and see what a difference using quality, wire-edged ribbon makes in your decorating endeavours.